Celebrating the phenomenal Wilderness Act legislation, the Performance Series’ foremost objective is to invigorate a wilderness perception relating to accessible community based nature areas. 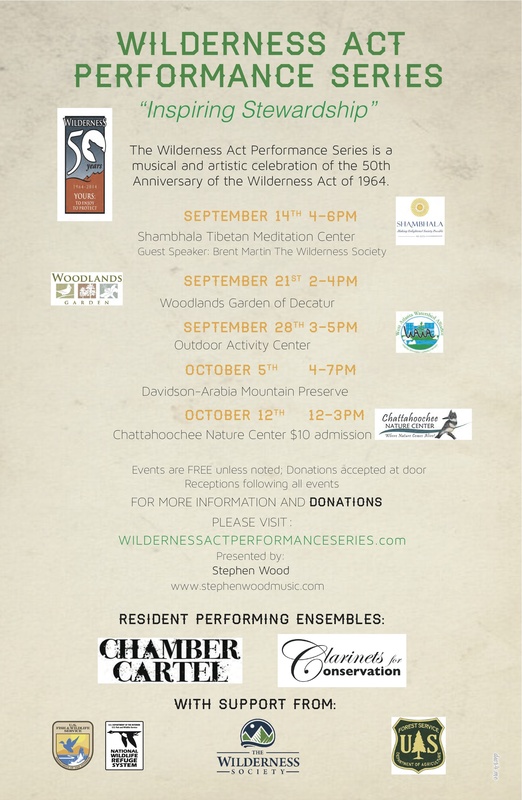 Following an outline of performance, hands-on experimental education, and service the Wilderness Act Performance Series will actively engage a public awareness of the Wilderness Act’s environmental importance through an appreciation of our regional nature preserves. The featured parks will be partnered with musicians and artists in order to develop an environmentally creative connection. These Artist-Wilderness Collaborations will culminate with the Wilderness Act Performance Series. The Performance Series will be a succession of afternoon performances at each of the hosting venues.